Led by worship directors Dean & Tony Palacio and the Blessed Hope Chapel Praise Team, this release features modern worship, contemporary worship, and a few original tunes. 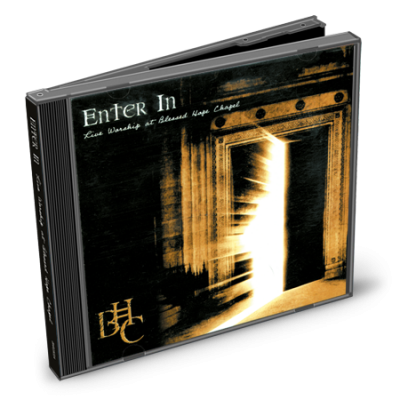 Two years after the release of the critically acclaimed “Enter In – Live Worship at Blessed Hope Chapel” CD, this follow-up release delivers the same quality praise & worship people have come to enjoy from the Blessed Hope Chapel Praise Team. Led by worship directors Dean & Tony Palacio, this release promises to have something for everyone. Modern worship, contemporary worship, and of course a few new tunes written by the Palacio’s. Once again, they teamed up with Grammy® Award-winning engineer, John Jaszcz (www.theyoshman.com), who put his finishing touches on each and every song at The Bennett House in Franklin, TN. There are 16 tracks in all, well over 1 hour of music! And just like “Enter In”, proceeds from every sale of “In Your Presence” goes directly to Blessed Hope Chapel and the various ministries they support. No worship collection is complete without this release from Blessed Hope Records & DT4JC Music Company. Order yours today!